How long have Kryolan products been around? 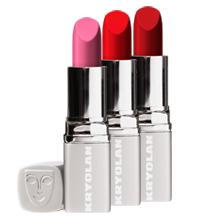 Kryolan started in Germany in 1945. Do I receive a discount if am a makeup student? If you are are currently studying an accredited makeup course, we can offer you a discount. You must present your current student card or an official letter of enrolment when purchasing. Is it possible to place a phone order? Yes, please call us on 03 9654 4147 for advice and to order by telephone. We can send products to you by mail. Do you give discounts to professional makeup artists? Do you have a customer incentive program? Yes, we offer a rewards program for in-store purchases. Where are Kryolan products manufactured? Most of the products are manufactured in Germany and some products are packaged in Australia. Are Kryolan products tested on animals? Are Kryolan Cosmetics only for TV and Film? No, all of our products can be used for everyday and we also stock a fabulous range of products that range from sheer to full coverage. Can I return products once purchased? We only accept returns if the product is faulty. For hygiene reason we do not accept returns for “change of mind”. You must retain your receipt for proof of purchase. No, it is a common misconception that our foundations are thick. 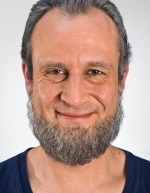 When worn on stage foundation can appear thick because the colour choice is specific for their task and not colour matched to their skin tone. Great coverage does not mean thick it really means flawless. Do you colour match foundations? Absolutely, all of us are makeup artists trained to find the perfect foundation for you, just come in and ask us. Isn’t Kryolan just for stage? No, Kryolan was originally designed for stage and is continuing to supply the theatre industry, however the range has expanded to cover all aspects of makeup including everyday cosmetics. What should I use to cover problem skin i.e. acne? The TV Paintstick and Dermacolor are the ideal foundations to use and the Kryolan Neutralizer Wheel can be used if you just want to cover any problems such as redness or dark circles. Can I mix my TV Paintstick with a tinted moisturizer? It would be better to use the tinted moisturizer first and then build up the areas that require extra coverage by using the TV Paintstick. How long will the Ultra Fluid Foundation last on my skin? Depends on the skin’s surface as it will last longer if you have used a primer first. It will also last longer if powder lightly with a translucent powder once blended. 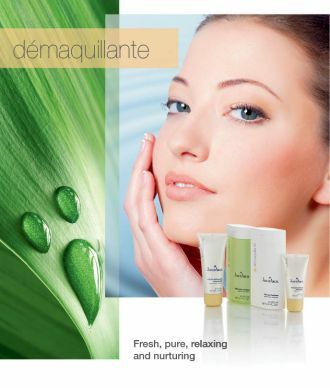 It is not long wearing on oily skin and will last longer on a drier mature skin. Can I use the Kryolan Ultra Crème Foundation as a concealor? 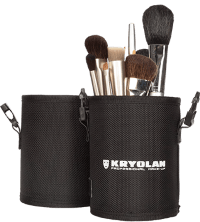 What is the difference between the Kryolan Concealor Wheel and the Kryolan Deckcreme? The Kryolan Concealor Wheel has 6 shades of neutralizing concealor colours designed to correct various complexion imperfections, whereas the Deckcreme as an individual concealor in a pot and has a different level of coverage, texture and color range to the Kryolan Concealor Wheel. What foundation is generally more suitable to women whom are 40 plus and require medium coverage and want to minimize the look of fine lines? The High Definition Micro Foundation Cream or Kryolan Ultra Crème Foundation are perfect for mature skin and are best applied after you have prepped your skin with a Kryolan primer or under base. Do you have any foundations that can be used wet or dry? Yes, the Kryolan Dual Finish Foundation. What Foundation should I use on dry skin? Kryolan Ultra Crème Foundation is ideal for medium to fuller coverage or Kryolan Ultra Fluid Foundation for a light coverage. Can Supracolor be used as an everyday foundation? Yes, Supracolor has a similar formulation to the TV Paintstick, however the Supracolor colour range is more suited to being used as theatre makeup. The TV Paintstick has a colour range more suitable for everyday wear. Can I use Kryolan Shimmering Foundation on its own? Yes, if you are using it on your body such as the décolletage area, legs etc However, it is better mixed in with your Kryolan Foundation if you are applying it to your face. What is the difference between the Ultra Foundation Stick and the TV Paintstick? The Ultra Foundation stick contains avocado oil which is great for problem skin and provides you with a semi matte finish, so no powder required. The TV Paintstick provides a full coverage and contains mineral oil which is best set with a powder for longer wear. What sort of coverage does the Kryolan Dual Finish Foundation provide? Dual Finish provides a medium coverage and it is great to use dry as a touch up powder. What is the preferred foundation and powder to use for stage and theatre? Supracolour set with Blending Powder. Can I use Kryolan eye shadow as a blush? Can I use Kryolan eye shadow wet and will it stay on? Yes you can, however to ensure your product lasts longer use only one side of the eye shadow wet. How many colours are available in the Ultra Makeup Base range? Four colours are available and each one is used to correct a particular skin tone. When do I use the High Definition Micro Finishing Powder? This is used over makeup application to either set your makeup or to touch it up throughout the day. It contains anti-inflammatory and anti-bacterial properties and also provides you with a sun protection factor of nine. What sort of coverage does the High Definition Micro Foundation Smoothing Fluid provide? It provides a medium coverage and is great on drier or more mature skins. It is also great for those who prefer a dewy finish. What is the difference between the Kryolan Translucent Powder and the Kryolan Antishine Powder and when would I use the Antishine Powder instead of a translucent powder? What is the difference between Kryolan Ultra Underbase and Ultra Underbase SPF? The Kryolan Ultra Underbase SPF contains a sun protection factor 20 and vitamin E-acetate. What is the difference between Ultra Setting Spray and Fixier Spray? Ultra Setting Spray is a finer spray used to set makeup, it is great to use on Aquacolor and can be mixed with Aquacolor to create longer wear. The Fixier Spray is stronger and comes in a non-aerosol and aerosol form. Can you use Kryolan Invisible Matte Cream as an eyeshade base? Should the Dermacolor range of products only be used together? i.e. can you use the Dermacolor Camouflage Cream with a Kryolan Translucent Powder of should you use the Dermacolor Fixier Powder? Yes you can use Translucent Powder, however Dermacolour Fixier Powder is more sweat proof and provides more coverage, it is also cheaper to buy a small size of Dermacolour powder than a tub of Translucent Powder. Can I customise my palettes? Yes, we can produce palettes with your choice of colours. Is it safe to use Glamour Sparks over my lipstick? 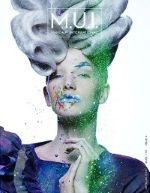 Yes, Kryolan products are multipurpose and only limited to your imagination. How many faces does a 30ml pot Supracolor do? Roughly 40-50 faces. Based on an estimated use of 1ml per face.